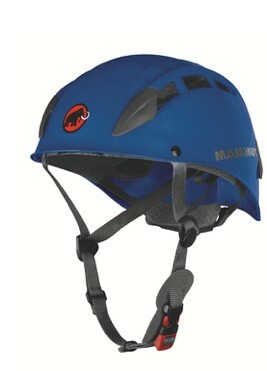 This product has an updated version the Mammut Skywalker 2. With a name like Skywalker, we expected that this helmet from Mammut would be worthy of Jedi Knights across the galaxy. Instead, we found it to be a clumsy helmet better fit for JarJar Binks. The Skywalker II is the heaviest and poorest fitting helmet in our review. It sits very high on the head and is top heavy, which often causes it to shift to the side. Most of our testers found this to be very irritating and did not like wearing this helmet. Typically hardshell helmets like the Skywalker are both more durable and considerably less expensive than lightweight foam helmets. The Skywalker's shell is just as durable as other hardshell helmets but the inside foam seems to be slightly more prone to breakage than other models. At $60, it retails for the same as our Best Buy Award winner the Black Diamond Half Dome, but the Half Dome is a better performing helmet. The Mammut Skywalker II is a hardshell polycarbonate climbing helmet. This helmet uses expanded polystyrene inside the shell to absorb impacts. The inside of the helmet is very well padded and it uses a semi-rigid adjustment band which wraps completely around the head and is adjusted via a massive wheel. Luke Lydiard climbing steep snow on Mount Whorl in the Mammut Skywalker II. When we first put on the Skywalker II it seemed very comfortable, with a large amount of padding and a super wide padded forehead band. After climbing in it, we noticed that it tends to slide to the side unless you crank it super tight. The click wheel on the rear adjustment band is very powerful and allows the band to be tightened to near brain crushing tightness. Unfortunately, this is what it takes to keep the helmet straight. With the band cranked down this much we found the helmet to be a lot less comfortable. We also found that the rear adjustment band would painfully press into the occipital area when cranked this tight. The Skywalker II comes with a small pad threaded onto the chin strap. One of our testers thought that this made the helmet even more comfortable, but the rest of them found it irritating. It's easy to remove should you not care for it. The massive click wheel on the back of the rear adjustment band is easy to use and it tightens down with incredible strength. 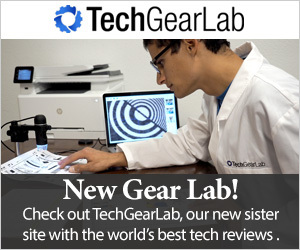 We found this click wheel to be equally as good as the one found on the Black Diamond Half Dome. The Skywalker II uses a massive dial to tighten the rear adjustment band. Unlike all of the other helmets we tested, the rear adjustment band on the Skywalker cannot be adjusted up and down. Most helmets do this by threading the rear of the harness through the band. This allows the rear adjustment band to collapse into the helmet for packing. We find that this not only takes up slightly less room in our pack but also protects the band from crushing, and all other helmets in our test had this ability. The Skywalker's band is semi-rigid and stays in a fixed position. The band will collapse into the helmet by pushing it in, but it springs back into place when you let go. Fore/aft adjustment of the harness yoke is provided with simple plastic hardware which is identical to the hardware found on the Black Diamond Half Dome. The chin strap is also by fastened by a simple plastic buckle. The male portion of this buckle is bright red which we think is a nice touch. This makes the buckle easier to locate but also makes is slightly more obvious to you or your partner that the helmet is not buckled. This helmet only comes in one size, which Mammut states will fit a head circumference of 21-24 inches or 53-61cm. This size range is nearly identical to the Elios size 2 or the Half Dome M/L size. Folks with very small heads will find the Skywalker a bit too large and should consider another helmet. This is the heaviest heaviest helmet we tested by nearly an ounce. At 13.7 ounces, the Skywalker II weighs 1.8 ounces more than the Black Diamond Half Dome and 2.1 ounces more than the Petzl Elios. The weight of this helmet was noticeable every time we picked it up, and our testers continued to be aware of it while climbing. Not only is it the heaviest on the scale, but because it sits so high on the head it feels very top heavy. This leads to the problem of the helmet shifting to one side while climbing, which is the primary thing our testers disliked about the helmet. Sarah Hegg climbing in the Owen's River Gorge. The Skywalker II sits high on the head and has a tendency to shift to the side unless the adjustment wheel is cranked extremely tight. If saving weight is a top priority in a climbing helmet, then we recommend a lightweight foam helmet over any of the hardshell helmets mentioned above. Our Editors' Choice, the Petzl Meteor weighs just 7.9 ounces, which is more than 40% less than the Skywalker. The absolute lightest helmet available is the Petzl Sirocco at a featherweight 5.8 ounces. For a sport like climbing which is the ultimate battle over gravity, we can't help but point out that the Skywalker weighs more than twice as much as the Sirocco. This is the least ventilated helmet in our test. The combination of only a few small vents and the large amount of contact area with the head make this helmet feel hotter than any other helmet. If you often climb in hot weather and ventilation is a big priority in a helmet, then we highly recommend any of the lightweight foam helmets we've tested over any of the hardshell helmets. We've found that the increased number of vents in the foam helmets have much better airflow than the few small vents built into hardshell models. The best ventilated helmet we've tested is the Black Diamond Vapor which has 21 vents. In comparison, the Skywalker II has only eight small vents. A headlamp is attached by four basic plastic clips, which get the job done. The two rear clips are small and don't allow for most headlamp bands to slip completely beneath the clip. This caused us to double check the headlamp strap but never caused it to pop off. The rear headlamp clips on the Skywalker are smaller than most but still hold a headlamp securely. Hardshell helmets are more durable than foam models, however this helmet proved to be less durable than the other hardshells we tested. Our initial test model came out of the box with the sides of the polystyrene liner snapped off. We believe that this was due to a design flaw in the shape of the polystyrene, which allows it to crease along the vent holes with medial compression of the outer shell. Our second helmet never cracked, but we could see how it could happen if you cramp the helmet into your pack. The foam on the inside of both the Petzl Elios and Black Diamond Half dome seems much less prone to this type of failure. We think the Skywalker II would make a decent helmet for ice cragging someplace like the Ouray Ice Park where you want a durable helmet but aren't concerned with weight or ventilation. For any other type of climbing or mountaineering there are many other helmets which are lighter, better ventilated, or more durable. At $60 the Skywalker retails for exactly the same as our Best Buy Award winner the Black Diamond Half Dome. The Half Dome out scored the Skywalker in all of our tests and is a better value. The Petzl Elios is just $5 more at $65, and is also a great value for those who value durability more than light weight. The Skywalker II is a very heavy, poorly fitting helmet which we had to force ourselves to wear. The hard plastic shell is durable, but the shape of the inner foam is prone to damage, making it a less than bombproof helmet. We recommend either the Petzl Elios or Black Diamond Half Dome as lighter, better fitting alternatives for the same money. For a much lighter though less durable option we highly recommend the Petzl Meteor. A few of our testers prefer the look of the Skywalker over other hardshell helmets, but most of them do not. We don't score helmets based on looks, so we will leave it up to you decide if this helmet looks cool or not. Mammut also makes the El Cap, which has a small yet very noticeable brim. The El Cap retails for $10 more than the Skywalker II, is available in two sizes, and seven different colorways. MooseJaw $52.99 - 12% off!